The risks of moving toward a world without cash have been highlighted in a new report that claims millions of people could suffer. Several richer countries are turning away from hard cash while tech companies such as Apple are making a big bet that people will increasingly rely on a mix of credit card and digital technology. 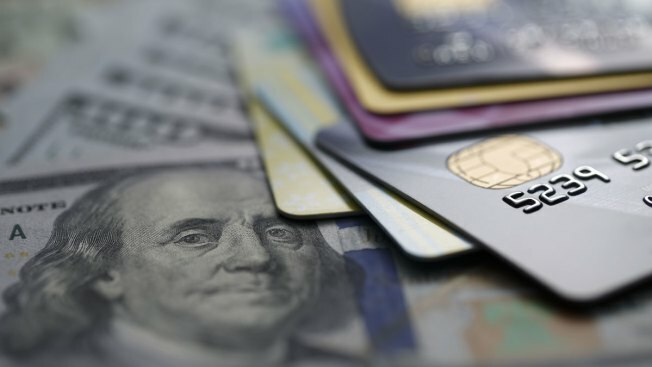 In the United States, a projected dip in cash use has prompted some concern and at state level, New Jersey is considering new laws to prevent card-only stores. In northern Europe it's estimated that as few as one-in-five payments are made in cash, with approximately 20 percent of Swedes claiming they never withdraw cash at all. A new "Access to Cash" study released on Wednesday warned that the U.K. risks drifting into a cashless society that could handicap those who are poor or in debt, disabled people, rural families and anyone who may be at risk of having their finances controlled by an abuser. The report, which surveyed 2,000 people and charities, said: "Many are struggling to participate in our digital society. If we sleepwalk towards a cashless economy, we'll leave millions behind." Who is at risk of cashless? Those who live in the country where poor internet connectivity could stop payments. Poor people who rely on cash to ensure that they budget properly. Anyone in an abusive relationship who may lose financial independence without access to cash. People with physical or mental health problems who find using digital services difficult. The report further estimated that almost half the U.K. population, or around 25 million people, use cash as a necessity, but noted that at the same time cash use could fall to just 10 percent of all payments within 15 years' time. Chief author of the report Natalie Ceeney concluded that a cashless society in the U.K. was not "impossible or undesirable" but it was clear that Britain wasn't yet ready as many would face "increased risks of isolation, exploitation, debt, and rising costs." The study further warned of a "catastrophic failure" where the economy could be disrupted by cyberattacks or failures in IT. Card companies want every terminal in the U.K. to accept "contactless" payments by 2020. Peer-to-peer is particularly popular in China where people can pay each other by text. Fingerprints or facial recognition technology is expected to graduate from access to phones or tablets to a wider role in making payments. Chips under the skin of an estimated 4,000 people in Sweden allow them to make payments for train journeys. The report noted that there were still 13 billion cash payments in the U.K. in 2017, and cash was forecast to remain the second most popular method of payment after debit cards. It added that the total number of Bank of England sterling-denominated notes in circulation had increased in recent years to 3.6 billion with a total value of £69 billion ($87 billion).